Whew! What a week! This week looks like it's going to be just as busy. What's your favorite thing to eat when you're running around like crazy? I'm not sure I have a favorite, but tomato macaroni is simple, inexpensive, and fast. I dare say it's even kid friendly given the sweet mild flavor of stewed tomatoes. My grandmother used to fix this when I was a kid...except she used one big jar of canned tomatoes from her garden. 1. 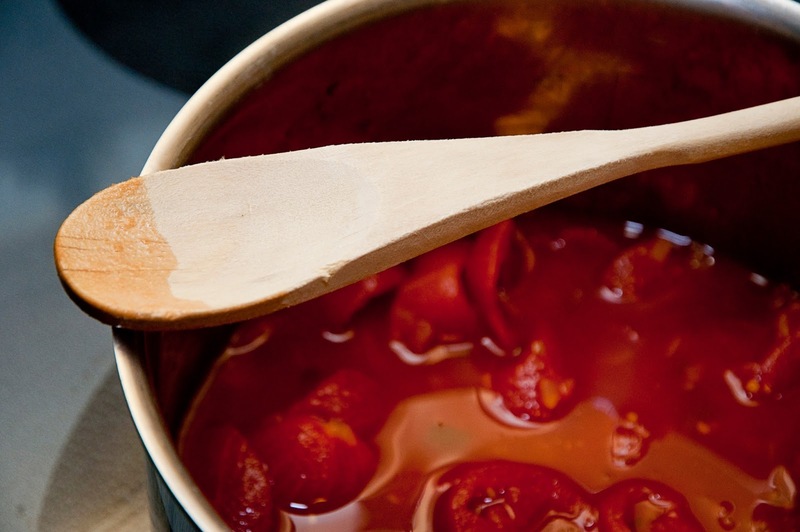 Pour 2 cans of stewed tomatoes, including the juices, into a medium sauce pan and bring to a boil then turn down the heat to medium. 2. Cook macaroni according to the directions on the package. The instructions on my box indicated to boil for 8-10 minutes so I boiled the macaroni for 7 minutes. I left it a little too al dente purposely. 4. Once the slightly under cooked macaroni is done, drain the cooking water and transfer to the pot with the tomatoes. 5. Take the tomato macaroni pot off the burner and stir well. Allow to to cool uncovered for about 10 minutes so the macaroni can soak up the yummy tomato juice. If you're not making this dish for spice-phobic kids, feel free to dress it up with basil, oregano, and garlic or toss in some nutritional yeast and chili powder instead. 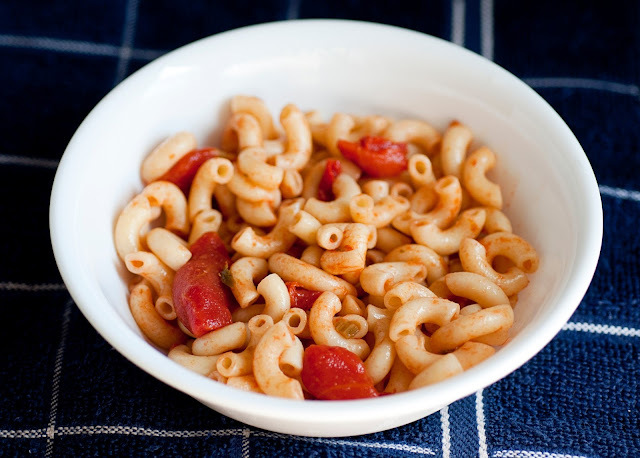 Tomato mac makes a tasty side dish or can be served as a big ol' bowl of comfort food when you're having a week like the one I had last week.